Xolo, an Indian mobile phone manufacturer decides to sign of 2013 in style by launching a new model. Few hours ago they unveil the XOLO Q3000 - a dual-SIM Android 4.2 Jelly Bean phablet with 5.7” FullHD IPS display. The phablet is powered by MTK 6589 Turbo SoC with 1.5GHz dual-core CPU and PowerVR SGX544 GPU. It also features 2GB of RAM and 16GB of built-in memory which can be further expanded via microSD card slot. The rear camera of the XOLO Q3000 is a 13MP unit with BSI 2 sensor, capable of recording 1080p video. A 5MP snapped with BSI+ sensor sits at the front. The XOLO Q3000 includes quad-band GSM, tri-band WCDMA, USB 2.0, MHL, USB OTG, and Wi-Fi 802.11 b/g/n with hotspot functionality making it an all-rounder connectivity champion. The device is equipped with accelerometer, gyroscope, magnetometer, ambient light, and proximity sensor. 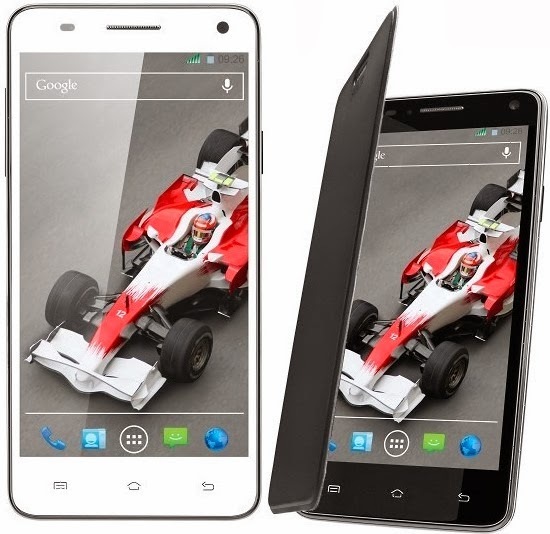 Xolo Q3000 measures 164.8 x 81.6 x 8.9mm in size. The device is powered by a massive 4000mAh battery. It is available in black or white color scheme for 20,999 ($339). It will ship with a free flip cover and OTG cable in the retail box which is certainly welcoming news for the buyers.